A small community is devastated after a police officer and an 11-year-old died during a car chase Sunday evening. CONROE, TX (KTRK) -- Two people, a Patton Village officer and an 11-year-old boy, were killed Sunday night in a car crash during a chase in the Conroe area. Several other people were injured. According to the Texas Department of Public Safety, Patton Village Sgt. Stacey Baumgartner was sent to the Valero Corner store at SH 242 and US 59. It was reported that a man was urinating on the sidewalk and exposing himself to customers. As Sgt. Baumgartner arrived, police say Garrett William Nee, 29, attempted to run down the officer and a chase began. They were headed west on Highway 242 from US 59. At the intersection of FM 1485, Nee reportedly ran a light and kept going. Sgt. Baumgartner followed but was T-boned by a white 1998 Chevy Suburban. "The force from the crash forced the officer to the immediate right of the intersection and he hit a traffic light pole," said DPS Trooper Richard Standifer. "The SUV, after the crash occurred, due to the severe damage and the force, it was flipped. It came to rest and was upside down on the 1485 side, just off the improved shoulder." DPS investigators say they do not yet know whether the SUV or the officer had the right of way at the intersection. Police say Nee returned to the scene of the accident. "For whatever reason, he saw fit to come back. I'd like to think that's a decent thing for a person to do. The average person who evades from law enforcement rarely comes back. He did do that, I guess to check on the people who were involved in the crash, at which time law enforcement did come up to him and take him into custody," Standifer said. Nee was transported to jail and later booked into the Montgomery County Jail on charges of felony murder, intoxicated manslaughter, and intoxicated assault. He is currently being held on a $1.3 million dollar bond. Sgt. Baumgartner has a two-year-old daughter, and an older son. His wife is a dispatcher. "You couldn't ask for a better guy. He didn't complain about anything, he just loved to laugh," said Lt. Carolyn Prickett of the Patton Village Department. Baumgartner's fellow police officers say he was always checking in. "He always texted me, 'Are you doing okay?' That's going to be missed. It was every morning. Even when he was not at work," said Detective Tim Williams. The 100 Club says it will help the Baumgartner family with immediate funds to take care of its needs. In addition, GoFundme pages have been set up for both Sgt. Baumgartner and Hilario, Jr. This is the second time in a week that an officer in our area has been killed in a wreck while on duty. 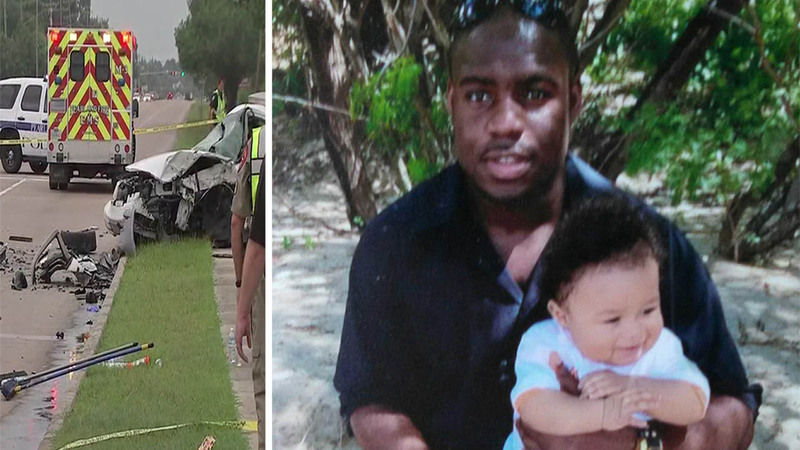 Just last Sunday, Pearland PD Officer Endy Ekpanya lost his life in an accident. A developing story where an officer has been killed in an accident in Pearland at Countryclub and Broadway.